Get Your Property Sold using Video! Contact us on (03) 9686 2288. One of the most powerful ways to create a lasting impression about your home is via the use of video. The above home sold one week prior to auction, for above the guide price. As I’m sure you’ll agree, the video evokes a sense of being in the home, enabling the viewer to connect emotionally with what it would be like to live there themselves. Using video to showcase your home will ensure your property stands out in the mind of any potential buyer, in what is right now, a very crowded, competitive marketplace. You’re not the only one trying to sell a home right now – there are dozens of others like you in the same boat. That’s why the clever use of video to gain an advantage over others selling their homes too, homes very similar to yours, can be the difference between a quick sale and your home languishing on the market, causing you unneccessary stress and costing you time and money. It is via video, you can truly paint a picture for your buyer as to what is will be like for them to live in your home. What it will be like for them to make your home their home. It’s that simple. Incorporate the use of video into your sales marketing campaign and you’re sure to make your property stick in the mind of anyone that sees it. Click Here to Contact Us Today. 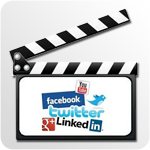 Or call our office on +61 3 9686 2288 to speak to us about creating a video for your marketing campaign.